SWBAT identify three major battles during the Civil War and explain the importance of each battle. The Beginning of the Civil War. When South Carolina seceded from the United States, the Union tried really hard to hold on to their army fort called Fort Sumter, located in Charleston South Carolina. 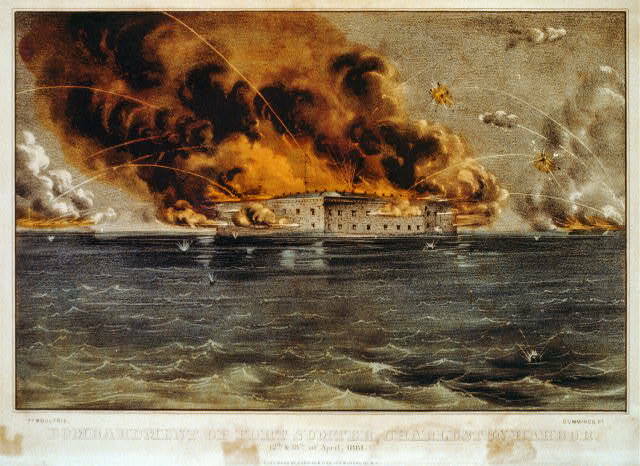 However, on April 12, 1861, the Confederate forces of the Sou th opened fire on the Union troops from the North that were protecting Fort Sumter. Lieutenant Harry S. Farley of the Confederate army fired the first shots of the Civil War. This battle is really important because this is where the first shots of the Civil War were fired. Lieutenant Norman Hall was leading the Union army against the Confederate army. After 33 hours of fighting, the Union army from the North surrendered the fort to the Confederate army. 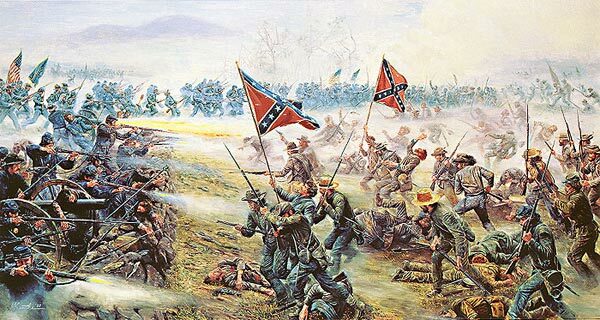 The Confederate army from the South won the first battle of the Civil War. Which side was he from? How many battles took place before this one? In the bloodiest war in American history, the battle of Antietam stands out as the bloodiest single day. 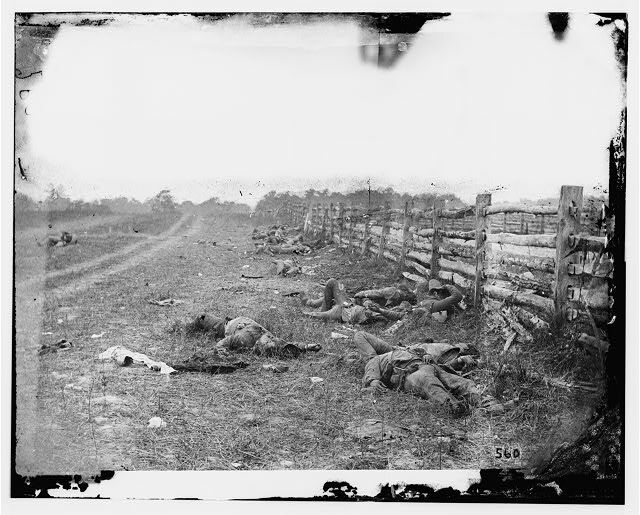 At the end of the battle, 2,108 Union soldiers were confirmed dead, and another 10,293 were missing. By comparison, on the bloodiest single day of World War II, D-Day, the US forces lost only half as many men. (In total, Union and Confederate losses were over nine times the number lost on June 6, 1944.) Though Confederate losses were slightly less; only 10,318 men, Commanding General Robert E. Lee lost a quarter of his army. More importantly, Lee was repelled in an attempt to invade the North, and hopefully gain recognition of the Confederate government by European powers. When the battle was finished, nearly twice as many men had died in one single day at Sharpsburg as had fallen in the War of 1812, the Mexican War, and the Spanish-American War combined. Why was this battle important? Where did the battle take place? The Appomattox Courthouse is really important because it is where the Confederate Army of the South surrendered to the Union Army of the North on April 9, 1865. 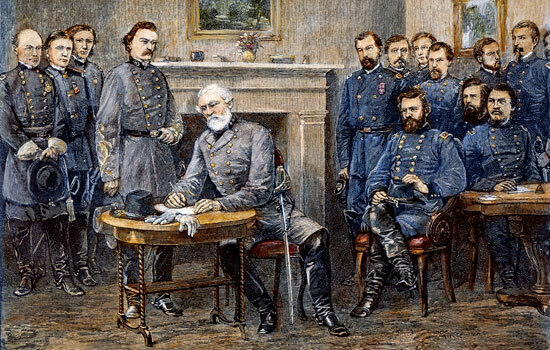 The lead General of the Confederate army of the South, Robert E. Lee, officially surrendered to the lead General of the Union army of the North, Ulysses S. Grant. This event ended the Civil War. The Appomattox Courthouse is in Appomattox County, Virginia. Army Ulysses S. Grant – The Leader of the Union Army. I think that the North will win the war. The North had more people. the North had more money. The south had an advantagwe on fighrting an defensive war. The southerners were on there homeland. That means that they had mainly a big advantage because they new all the way around the lace in wich they had been living. The North came unreared, but i still think that North wil win. :) The North could also make more guns because they had more factores. I know that the North thought they were going to win quick and easy, but it was a terrible battle. The battle lasted for a verry long time. it was the furst total war. The North in my oppinoin will win. When the south were kids they were slaves. They had to work hard all day long. The north had better living. BUT they also have more guns and things to fight with. That is why i think the North will win the war. The North needed to win to kee the United States together. If the south won they would form there own country. I think that the North is going to win the war because they are prepared this time and not going to take war lightly.The last war the North came and they just took it lightly.The South took this war very seriously because they are standing up in what they believe in.The North had an advantage of the South by having greater population,farmland,industry resources,more free citizens,ect. Also the South had an advantage of the North by having a lot of hunting skills.When the Southern children start learning how to hunt,use guns,and learn how to ride horses.The North needed to win to keep the United States of America to keep the South from seceding from the Union.